Breaking into the technology industry was not easy for someone who grew up in Tajikistan, a country where women had very well-defined roles. We were expected to be good wives, mothers and daughters. We were expected to mind the house, keep it clean and cook for our families. There was no expectation or support for a woman to have a career and achieve financial independence. When I chose to pursue my bachelor’s degree in computer engineering, I didn’t realize what a challenge it would be. There were 7-10 women among 300 students in my class. I recall my professors telling me that I should change my major as computer engineering was not a profession for women, reflecting the attitudes of a traditional patriarchal society. As I approached my graduation, the majority of my female classmates dropped out of the program. Everyone around me would ask, “What’s wrong with you? You should’ve been a boy.” If anything, this attitude further drove me to finish my degree in engineering. My determination to break barriers and my study of technology molded me into being rational and logical. Yet, even so, entering the workforce presented obstacles I did not expect, including the fear of being inadequate. I felt, at times, that when I did sit for interviews, I wasn’t what the recruiter expected. I didn’t fit the mold. There were other times when I felt trepidation in simply applying for jobs, fear that I wasn’t qualified if I didn’t meet every criteria listed on a job posting. I read an article later on in my life that I wasn’t alone in this feeling. It’s a fairly common fear in women. Don’t be afraid to speak up. Start small. Early in my career, I tended to be quiet in meetings, as I was afraid to say something that might not be correct. I started to surround myself with great people who taught me how to speak up. They showed me that being a woman brings a different perspective to the table, and that perspective is valuable, as diverse viewpoints are better than narrow ones. Find a mentor. Find someone you can talk to, whom you can trust, with whom you can collaborate, discuss concerns and celebrate successes. You can find mentors at events across the country, and more specifically, some of the more recent Women in Security or Women in the Channel events. These semi-formal sessions are filled with women and men who are there to provide guidance, friendship and mentorship as you navigate the industry. Practice interviewing. There’s nothing like the reassurance of an interview to help you sharpen your skills. Go through the entire process, do your homework on the organization you’re applying to, and sit face-to-face with the interviewer and learn their methods, techniques and questions. Even if you don’t land the job, it prepares you for the next interview. Read. When I say read, I mean really read. Take an hour or two a day to read a book. It could be sales aligned. It could be a technical book. It could be a book on social engineering. You exercise your mind when you read, and it sharpens your skills. If your preference is to read online, brush up on your skills on Udemy (an online learning platform), spend time reading posted articles on LinkedIn, or simply visit different manufactures or partner websites and read some of the datasheets or guides they have published. One great resource library for the cybersecurity industry is the books listed in the Cybersecurity Canon. The tech industry has changed a lot over the last few years. New regional meetups focused on mentorship of women have sprung up. Technology companies in Silicon Valley and across the nation have started to review their policies and begun training their employees on removing some of the bias against women engineers. Organizations like Palo Alto Networks have led the charge with their Girl Scouts Cybersecurity badges, internal promotion methodology, and support of industry sessions like Women of the Channel and Women in Security. Individuals like Isis Anchalee helped start the #ilooklikeanengineer movement after experiencing the same challenges I’ve faced. Much has changed. But there’s still work to be done. We still have many miles to go, but the path has been laid in front of us due to all the hard work from so many women, so far; and it’s, in part, a matter of believing we can and continue to effect the change we want. Today, I believe in myself, and I have people who believe in me. I have colleagues who make me better and challenge me. 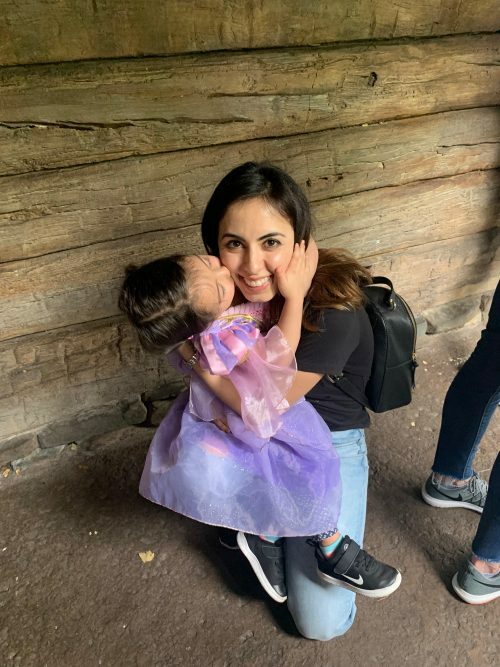 I’m a mother who wants a different path for my daughter. I want my daughter to be brave. I want her to be who she wants to be. I want the same for her that I want for every woman in technology: an opportunity. For more perspectives on diversity in the technology industry, check out the Diversity Unscripted blog from Palo Alto Networks. 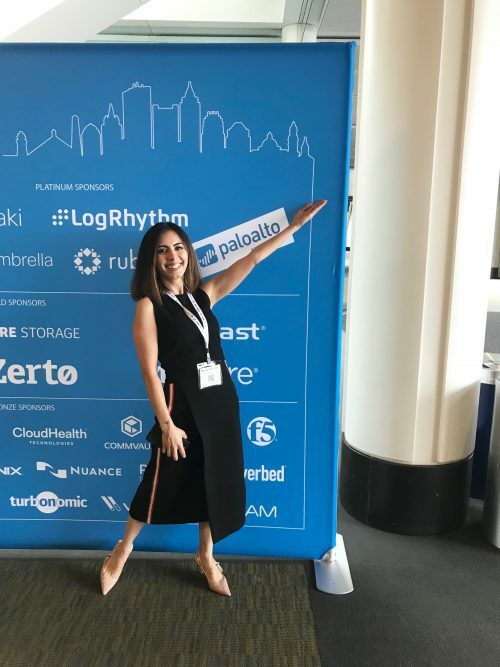 The post Finding My Way as a Woman in the Tech Industry appeared first on Palo Alto Networks Blog.